If you’re involved in craft beer in any way beyond having the occasional pale ale at your local, chances are you’re aware of the ongoing discussion around tap contracts and market access. In its most simple terms, contracting taps is the practice of a brewing company and venue entering into an agreement to sell certain products while excluding others. This has been at the centre of an investigation by the Australian Competition and Consumer Commission (ACCC) for a number of years now, with a report into whether Lion and CUB have been misusing their market power expected soon. Yet tying customers to exclusive contracts is just one way in which brewing companies try to secure market access. Other incentives might be offered: paying for venue upgrades, offering significant rebates or deals such as buy four kegs, get one free. 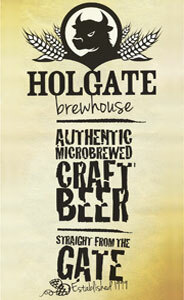 Such practices are used by brewers big and small. The issue is a broad and complex one that, in the past couple of years, has seen keg prices from some brewers drop to lower and lower levels. With ever greater regularity, we hear stories of kegs being sold by small, independent brewers for $200 or less – against an industry average that sits around $250 to $275 plus GST for a standard strength pale ale. As competition intensifies, this price war is only likely to heat up. Here, the Secret Brewer offers their thoughts on the topic. In part two of this double-header, we present responses from others working in the beer industry. Are tap contracts wrong? Is it a problem if a brewery decides to offer cheap kegs or deals to secure tap points in a venue? For years, we’ve heard people – small brewery staff and passionate beer drinkers alike – complain about the big brewers buying tap contracts, sometimes locking up 100 percent of the taps in return for installing a bar system or offering a large rebate per litre. But is this any different to what some smaller craft breweries are doing when installing one or two taps for a venue or contributing to the cost of a new system alongside a few other smaller brewers? Is this any different to someone offering a keg for $200 or less to gain a tap account? Independent breweries in Australia do engage in such practices yet we don’t get the same negative response. It might be through selling unbranded beer a venue can put its own name on – I’ve heard of $160 kegs in such cases. It might be done by putting in a beer system and tying that bar to a certain amount of kegs or by offering incentives such as buy three, get three free, bringing a $270 keg down to $135, or price reductions to keep a beer on tap for longer. You start a brewery and you want to access taps. This is where you can gain your best margin so you decide to play the game in a competitive market and reduce the price – and that raises the first issue: once you set a price, it is hard to go back. Once a venue is getting kegs for $200 or less, why should they care if you later realise you were undercharging and try to raise the price? Then there’s a second issue. Once they realise there are cheap kegs around, venue owners will see an opportunity: they have the upper hand and can start asking every brewery for cheaper kegs. Thirdly, what does this say about your brand and credibility? Brewers must not undersell or undervalue what it is we do. As brewers or brewery owners, we need to realise the important role we have had and will continue to play in the growth of the industry and not be forced into a position where we risk losing credibility or, worse still, the ability to survive in business. Of course, to an extent, this is just market forces at play and, for the majority of the general public, if they can get their hands on cheaper beer they won’t care how that’s happened. But breweries risk kickstarting a race to the bottom: who’s to say the next big, new shiny brewery won’t come along and undercut your $210 kegs with theirs at $205? Then another at $200. You might lose some of the share of the market you dropped your pants to secure so do you try to go lower in the knowledge that putting your price up with your remaining customers isn’t likely to go down well? Ultimately, the selling of ever cheaper kegs becomes a game of cannibalisation – small brewer against small brewer. 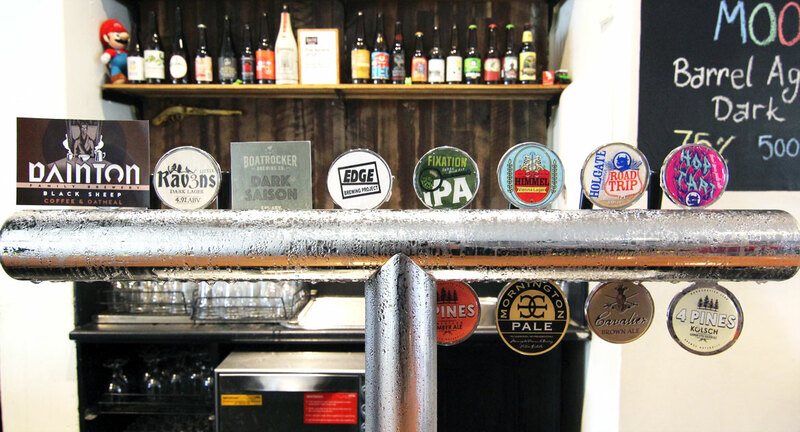 The biggest of the big players have the market share, promotional dollars, marketing expenses, tap contracts, ability to build bars, offer rebates and so on to make sure their beers are still front and centre in the general public’s minds. Will we see less of this kind of diversity on offer at bars? Look at it from a different point of view: that of the beer drinking public. What are they likely to get out of a race to the bottom price wise? A lack of choice in venues chasing cheap kegs and beer that’s lower in alcohol and uses cheaper ingredients. Sure, there's a growing number of larger craft breweries that can get their prices lower through economies of scale or by making it part of a longterm business plan. 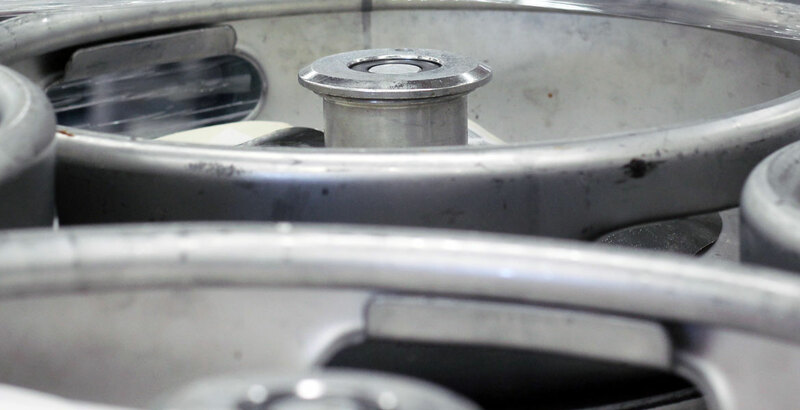 Yet most of the cheap kegs hitting the market are lower in alcohol, thus attracting less excise, and likely to use the cheapest ingredients available. This hardly fits with what I believe to be core values that the craft beer industry likes to claim for itself, such as better quality and greater diversity. Thus you’ll find venues that claim to be pouring nothing but craft beer offering taps lined with simple pale ales, golden ales and the occasional lager. You won’t find the variation that has helped craft beer make a change to the beer industry globally: IPAs, double IPAs, stouts, sours, Belgian styles, for example. Is “choice” in such cases much different to the lack of choice that inspired many brewers to enter the game in the first place? The responsibility lies at all levels, from production to retail to drinker. Brewers need to believe in their product. Brewery owners and sales managers need to be realistic about how much beer they think they will sell. I’m pretty sure not many breweries are hitting their sales targets, so when thinking about sales targets make them realistic and don’t just drop the price of your kegs to get the volume you feel you deserve. This is also true for breweries at the planning stage. You hear rumours of the amounts of money being spent and the proposed output new breweries are aiming for – but they’d be better off being realistic as to what they can sell in kegs. Unrealistic expectations can be a driver in breweries dropping prices to extreme levels, particularly when there are silent investors or investment funds involved that want to see such returns. Don’t try to grow too fast. Don’t think the way to get ahead is to force drinkers to try your beer by making it the cheapest you can. Respect your product. Respect yourself and gain a reputation for delivering a high quality, consistent product and win a following that way as that’s more sustainable in the long run. As for venues, I think many are using what almost amounts to blackmail tactics: give us beer at this price or we will never stock your products. We’re starting to see it with packaged beer too. One business with a number of outlets has been contacting breweries demanding $45 cases to get into their venues with the promise that a tap point may await if you can meet their demands. In another case, my brewery repeatedly had a carrot dangled in front of it in the shape of potential tap space at an iconic location. We discovered down the line that this same carrot was being dangled in front of other brewers with the result that the venue managed to secure a number of free kegs and, ultimately, none of the independents that had been strung along ended up with a permanent spot. Were we all being played for mugs? Maybe. But I think most of the venue owners who take this approach are lazy, don’t care for the beer industry and will end up with a venue that lacks diversity or appeal for the country’s growing number of educated beer drinkers. It’s been suggested to me that one approach would be for breweries to boycott such venues. In an ideal world, maybe, but [as the last Secret Brewer article on gypsy/contract brewers touched upon], if venues are only interested in getting cheap beer on tap, they'll approach a contract brewery and brand a generic keg themselves. Maybe it would be better to have an established brand on tap instead, although if it means dropping their price to be there, the issue remains. More than anything, however, I believe the power lies with the drinker. You can’t regulate prices, so people need to get behind their favourite beers, breweries and venues. They need to get down to their local pub or bar and tell them that they want better and more diverse beer from which to choose. If drinkers support the venues doing it best, it may encourage others to raise the bar. If a venue offers a great environment, educated staff, a broad choice of beers and an enjoyable experience, are customers going to mind paying 50 cents or a dollar more for a pot or schooner? I believe most craft beer drinkers will be happy to pay a little extra for a beer that is worth a little extra in a venue that cares about what it’s serving. If venues want to buy craft beer and turn it into the price equivalent of a student’s by-the-jug beer, we can’t expect small, independently owned craft breweries to compete with the multinationals. After all, if you can’t buy a keg of VB for $200, why on earth should you be able to by a keg of pale ale from a microbrewery for that price? Here, we present part two of Price Wars, featuring responses from people working in different parts of the craft beer industry.